Your new home awaits! 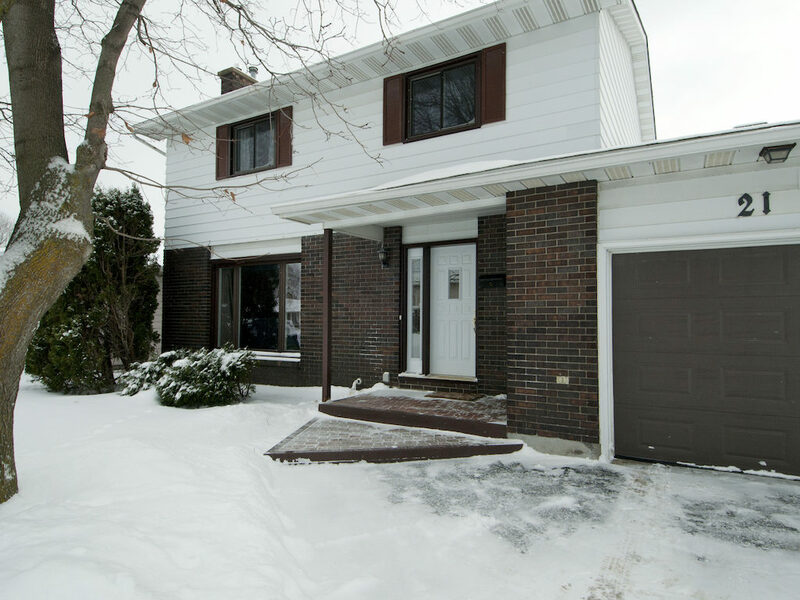 This spacious 4 bedroom home is well located in the heart of old Barrhaven. Perfect for a young family, this home boasts 4 bedroom and 2.5 baths. Exceptional value. This home has tremendous potential. Generous front foyer opens up to a good size living room with gas fireplace and hardwood parquet floors. The living room opens up to a sun soaked dining room with large window overlooking the generous sized backyard. The size of the kitchen is truly impressive! Large double door pantry and plenty of counter space. Easy access to the backyard through the patio doors off the kitchen to the private, fenced backyard. Eat in area will accommodate a large family table and desk. Perfect for family game night. Conveniently located laundry and 3 piece bathroom on the main floor. Upstairs are 4 well appointed bedrooms . Master bedroom has a two piece ensuite and his and her closets. Two generous size secondary bedrooms with extra deep closets. Fourth bedroom currently being used as a home office. The lower level family room is divided into cozy family home theatre area and spacious game room. A great family retreat with plenty of storage space. The large fenced private backyard has lots of space for the family. Included with this home is an above ground pool, with a newly installed liner ,deck and shed . This home must be seen to be appreciated! Well cared for with many updates. Greenbank Road S, right onto Larkin Drive, right onto Tripp Crescent.